Family is so important to our blossoming lives that a reunion for some is a great way to get everyone together annually or after many years. The task of planning might seem quite daunting whether it's for a small group or a family celebration with hundreds of people. Starting with finding and scheduling a location well ahead of time is important if the gathering is not going to take place at someone's home. Getting the word our with at least a date for the upcoming event is valuable to reaching more people for the reunion. Early notification is where a "Save The Date" message like the one below can help. 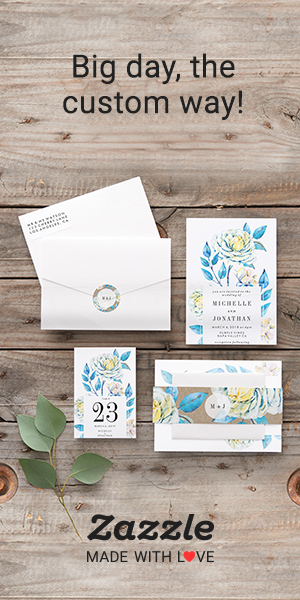 You'll find multiple color and design variations of this Save The Date design. You are even saving on postage with a postcard design like this. Once you get closer to the actual family reunion, an invitation with more details than the "Save The Date" is an option rather than calling or emailing. The invitation can be as simple or detailed as you want. When you check out this design at the link you can fill in the template fields to see how your details look. You can go all out and have picnic or party supplies like paper plates and napkins celebrating the special occasion like you'll find in the Modern Purple Tree Family Reunion Collection with the napkin design. Paper name tags are ready to be filled in so no one is embarrassed by forgetting who THAT relative is that's talking to you. On this particular design, you will see a color combination visual like below to view right on the page when you select one of the color combinations. Hit the link to check it out. You certainly want to have some type of mementos recognizing the occasion especially if it's not an annual event. Mementos can be as simple as key chains with the details to fun tee shirts. These shot glasses are also a keepsake that will last for years. If you or someone you know is getting ready to begin planning a family reunion, bookmark this post or "Pin It" for easy retrieval later. If you have ever planned a family reunion, I would love to read your most valuable lesson or lessons. Leave a comment to let me know if you would like to see products with one of the other color designs.